And the best way to celebrate this new and doubtless short period of austerity is to buy what big game hunters call a "brace" of CDs from what I'm coming to think of as the best reissue label around - Ace Records. On a purely aesthetic level their packaging is always bright and inviting, packed with picture sleeves, labels and interesting text rather than the usual cut n pasted bios. As you can see, my choices were fairly poppy but it's the recent Francoise Hardy set that has really caught my attention. I must admit I was not at all familiar with Ms Hardy's English language material - my silly rock snob gene suggested to me that somehow songs in her native tongue would be more "authentic" (yes, yes, you are right to boo that word!) and heartfelt. This compilation is made up of her 69' LP 'One - Nine - Seven - Zero' (aka 'Alone') and 1972's 'Francoise Hardy' aka ('If You Listen') and are in the folk \ rock mould but that label really doesn't cover the skill and breadth of ambition presented here. Half of '1970' was written by Mickey Jones \ Tommy Brown and its the production and quality of their opening set of songs that really make this album special. Thats not to say Francoise's own songs aren't up to standard it just appears that the ideas and arrangements for the other tracks are more subtle and developed. the strings in particular on 'Song Of Winter' are sinister and dramatic. 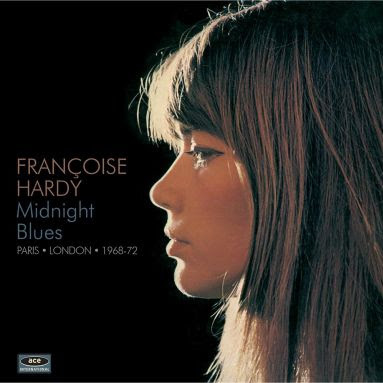 The album is chock full of great performances and even a little country from Francoise in 'Midnight Blues'. The cover of Cohen's 'Suzanne' is so sparsely augmented by musicians it pretty much leaves us just with Hardy's breathy vocal which is wonderful but makes the single repetitive guitar figure become a little annoying. The closing 'Why Even Try' is a fine way to end - a delicate impassioned performance with a little Gallic drama playing against the world weary pessimistic world view. The follow up album 'Francoise Hardy\If You Listen' has only one song of Hardy's 'Brulure' but as the other tracks are written by Randy Newman, Neil Young, Buffy St Marie others it's not short of quality material. If I had a preference of the two on this compilation I would say this, recorded in London's Sound Techniques studio, was my favourite. The overall atmosphere and sound of the album is more coherent and complete. I can pretty much listen to anyone sing 'I Think Its Gonna Rain Today' as its a wonderfully melancholy piece. The line 'Tin can at my feet, think I'll kick it down the street. thats the way to treat a friend' stops me dead every time. In the version here Hardy's sensitive vocal is sometimes spoilt by the over dramatic strings which may just be a production thing. In Bob Stanley's excellent sleeve-notes he mentions there was an attempt by Joe Boyd to bring Hardy to collaborate with Nick Drake which foundered on her lack of English and his lack of ability to communicate with anyone. Tracks like 'Sometimes' and 'Until Its Time For You To Go' have the direct, simple beauty of Drake's work. 'Brulure' with its infectious little guitar piece just keeps building and building with Hardy's voice soaring to match. 'Bown Bown Bown' sounds like a song coloured by Bowie's 'The Man Who Sold The World' album especially on the repeated title phrase. C'est Chic - a nice little collection of French poppettes, each give a little bio alongside those wonderful 7" and EP covers. What is it about French 7" & EP single covers that are so alluring. 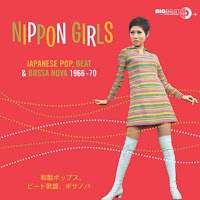 I've just learnt that there is a Volume 2 imminent next month so you haven't got long to bag this great little intro to French girl singers. Well, for those yet to listen to the excellent Carole King podcast this little beauty was recommended to me by our guest. 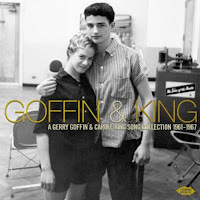 This is a brilliant compilation of rarely heard songs from the Goffin & King songbook. 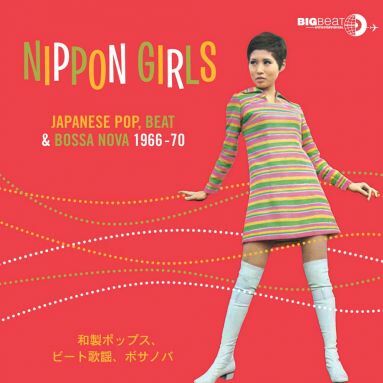 Some have never been on CD before and some like the awesome Dusty springfield 'Wasn't Born To Follow' slipped out unnoticed on a compilation in the mid 90's. The PJ Proby track is another highlight - a wonderful vocal performance that wrings all the pathos and pain out of 'I Can't Make It Alone'. The addition of Aretha's Natural Woman is a little puzzling but by no means unwelcome on this collection of the unknown. 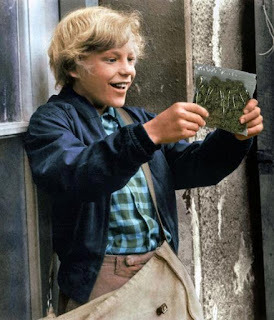 And with music at Golden Slippers it's a golden day." Blimey this was fun. Thanks to a bit of luck and years of faithful devotion to the headliner and her brill songs (yes, I sound like a cheerleader, well, RAH! RAH! YAYYYYYYY!!!) I got invited to this titchy gig in a Soho private members club. Heading the bill was Kathryn 'two- London-gigs-in-a-week-just-like-Muse-and-The-Stones' Williams with supports from Nick Mulvey & Raevennan Husbandes. I hope they will not be offended if I admit that I didn't know their work before the show. The venue for the gig itself was little bigger than your average living room. Sofas, stools and hard floorboards were the choice of seating. Despite the lack of space, everyone was somehow accommodated within the TARDIS-like room and once windows were opened the breeze and hubbub of life in the street below gave the gig a unique atmosphere. It was still rather humid in the room when Kathryn sat in with the afro-tastic Raevennan Husbandes on a song they wrote in a Leeds hotel room - 'Wanderlust' which is evidence that they should do this again and soon. It was a perfect marriage of their voices and styles. Her own set was shot through by her delicate vocals and playing, a simple and effecting beauty that drew you in like a soporific candle. Her recent illness which temporarily took her sight and hearing has clearly coloured the quiet power of songs like 'Silence' and 'Stay'. The room seemed awed into silence themselves - I think this wasn't just a revelatory performance for me alone. Catch her soon as you can. I'd seen Nick Mulvey's former band, Portico Quartet, across town at a similar showcase last year. They were impressive but it just wasn't my bag, man. So I wasn't sure what to expect from Nick's solo material. The attraction of these small shows is the intimacy between artist and audience - I'm not sure if this is felt to be a plus from the artists' position - and to see the skills at work. I was no more than 6 ft away from Nick as he played and if I wasn't I would have thought he was using some kind of electronic trickery to produce the sounds he was making. Often it appeared that there were two people playing as he developed rhythmic foundations for each song. His new EP 'Fever To the Form' will be a treat if tonight's set is anything to go by. My personal favourite was the hypnotic 'Juramidam' and I'm glad any preconceptions I may have had were well n truly confounded with a tight and impressive display of his talents. With this show and the gig at the Old Queen's Head, Islington last week, hearing the new material that Kathryn has been working on has only made me keener to bore the arse off all my friends with my continued playing of the resulting album 'Crown Electric' once it is released in September. 'Heart Shaped Stone' is already becoming a firm favourite, just a simple ear-worm melody that gives the phrase'commercial' a good name. Other new songs tonight were the gentle 'Arwen' and 'Tequila' (no relation to The Champs or Terrorvision hist of the same title) with its image of 'salty smudged kiss on a computer screen' with love delayed and deferred. The night ended with requests for 'Flicker' and 'Grey Goes' (my shout). 'Flicker' was the first song of Kathryn's I heard on what was once called GLR, Robert Elms' show I think. There is a special something about it that I just can't put my finger on. On the record its the dramatic silence after 'quick goodbye'. Maybe its the memory of first hearing a new artist that you'd come to love. Whatever it is, it always feels like such a personal cry from the heart. Rarely do I go to gigs and come away with not only great memories of a favoured singer but also keen to find out and hear more from the support acts. Although tonight Nick and Raevennan felt like part of a complete experience then separate or minor parts. The audience treated everyone with the same level of attention, respect and enthusiasm. London crowds can often be so blase and intolerant so it was a pleasure to be among such polite people. Thanks to all at Society Of Golden Slippers for organizing such a great event and managing to make a tiny gig welcoming, comfortable and relaxed. Rather than the cramped packed and endurance testing evenings that I have experienced elsewhere. May the road rise with you. "She attracts a better class of audience"
As a regular gig attendee I can be quite easily prodded into ranting about the behaviour of people at gigs these days. the incessant yabbering, people taking crappy photos on their mobile that they will look at once then delete, the rudeness and downright selfishness. The night kicked off with a superb opening slot by Broken Boat - a great folky three piece. Ridiculously young and talented, making us feel feel old and useless. Lead vocalist, Daniel Bahrami and bass player \ accordionist, Jess Hart's voices meld beautifully whilst guitarist, Brendan Kearney, quietly plays a demon guitar. Again I think they were surprised that the audience listened to their performance rather than talked through it about 'The Apprentice' and 'Britain's Got Talent'. Kathryn, aided by multi talented Neill MacColl, gave us one of the best gigs I've seen her play. Yes it may have been a little shambolic as the set-list was chopped and changed during the set. Yes, she got into a fit of the giggles after an off-colour joke involving Kermit the Frog and barely made it through 'Armchair' but these are the things that make nights out great. Times are tough, money is tight and I'd rather spend it on something that feels genuinely spontaneous and fun than a slick and humourless show. Like a crowd of expectant guinea pigs (hang on, that sounds like a gig at an animal maternity ward) we were given a sneak preview of Kathryn's new material due to drop in the fall (sorry). They slipped into the set alongside her older songs seamlessly and not because of any recycled ideas. 'Heart Shaped Stone' in particular had an infectious tune and 'Underground' says how we all feel on those trains, walking those tunnels, slumped on those escalators as 'everyone is looking down'. 'Monday Morning' speaks to that feeling we all have when the duvet is so warm and the world is so cold. I've been coming to see Kathryn for more than a decade and its great to see that she has fun on stage these days. She admitted that she used to have to play sitting down for fear of fainting with nerves. She's now more chatty on stage in a wonderfully conversational way (who needs slick?) and more confident with experimenting with her songs. 'Little Black Numbers' is performed acapella, vocal harmonies and lines built up by live sampling, climaxing in a tapestry of sound - all with the flick of her right foot. A pal said post-show that often at a Kathryn Williams gig you feel she is just singing to you and in a small, perfectly formed room like this that perception is only magnified. 'Flicker' appears even more personal and heartfelt and the woozy 'Grey Goes' which ends the set is unhinged and powerful. As with her version of 'Hallelujah which she used to close shows with she really lets go and this bellow of jagged, guttural emotion fills the room. Its spine tingling stuff. New album coming soon but til then follow her on Twitter and her blog\website over here and catch her live around the country - righty here . You won't regret it. Oh and double thumbs up for The Old Queen's Head & Green Note for hosting such a top night of entertainment.